and How They Can Make Your Research Easy! 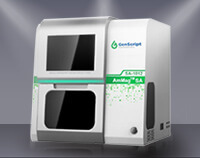 AmMag SA automates the protein or antibody purification using magnetic beads. The instrument is capable of using 6-well deep well culture plates or 50 mL tubes. In combination with our antibody or recombinant protein binding magnetic beads the system offers high throughput with high capacity. eBlot® L1 wet protein transfer combines the high reproducibility and efficiency of the traditional wet transfer with the speed and convenience of other fast transfer systems. 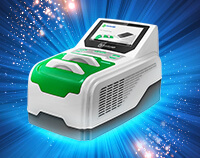 The device allows efficient blot transfer of small, medium and large molecular weight proteins within 9-17 minutes. Pushing the bounds of innovation, the GenBuilder™ technology allows for seamless fusion of one to twelve gene fragments with the highest efficiency. 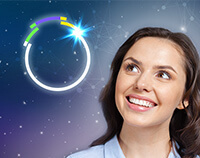 Whether using fragments longer than 5 kb, unpurified PCR products, single stranded DNA inserts, or have only fifteen minutes to complete the cloning reaction- the GenBuilder™ DNA Assembly technology helps you build your constructs quickly and accurately. 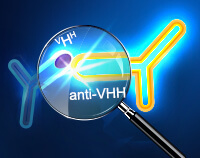 Rabbit anti-camelid VHH monoclonal antibody series generated by Genscript's proprietary rabbit-mouse hetero-hybridoma technology MonoRab™ provide perfect secondary antibody tools for researchers to identify target-speciﬁc sdAbs. Unconjugated, HRP, iFluor488 and iFluor555 conjugates are available.